This unique product offers a top down bottom up lift without any dangling lift cords. Cordless TDBU 3/8" Single Cell Shades are ideal for small children or pets since the cords run through the center of the shades. Simply grab the shades from the top and pull down to lower or lift the bottom rail to raise the bottom. 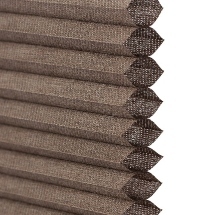 The top down bottom up feature allows the honeycomb shades to be lowered from the top down as well as raised. This is a great way to allow light to enter the room from the top portion of the window while providing better privacy. Designed with a single cell light filtering fabric that is durable with color on both sides of the shades. You will not find a better bargain! 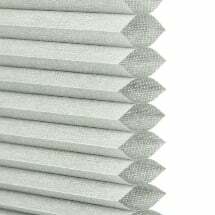 Our Sunlera Cordless TDBU 3/8" Single Cell Shades begin production the morning of the following business day and typically ship that day, thus changes cannot be made after order is placed. For an inside mount how wide does the window frame need to be to accomadate mounting brackets? My window is only 1/2" wide. 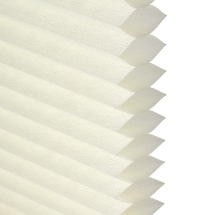 You would need 1.375" just to mount these and 2.125" for them to sit flush inside your window frame. Unfortunately, none of our products will mount with 1/2". We would only have products available as an outside mount for that depth. Great product, easy to install and works great. These blinds let the perfect amount of light through! These blinds let the perfect amount of light through! They are easy to install and great to use! For a great deal! I have another brand of TDBU single cell shades and the ones from your company are far better. Thank you for your we just love our blinds.